Vintage Real Photo Photograph Photographic Old Postcard. Sri Lanka Ceylan Ceylon. Ethnic Life. 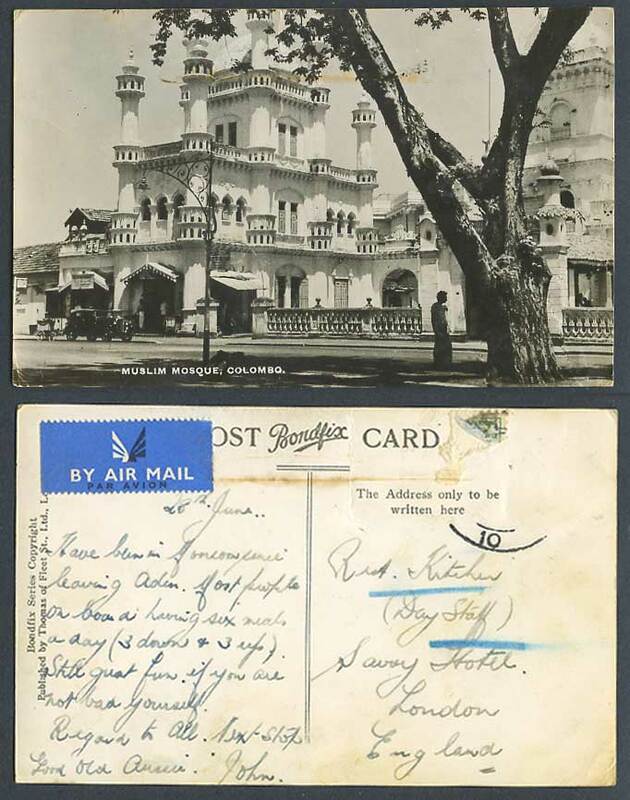 Mohammadan Muslim Mosque, Colombo, Street Scene, Vintage Motor Car. By Air Mail Label.